Here at Copperloy, we’re always proud to unveil our latest gear, all of which continues to raise the bar for versatile, durable and high quality material handling equipment. In this case, we have just released our newest portable platform, and it offers an amazing set of features and benefits, which will be sure to enhance the capabilities of nearly any facility or operation. The newly redesigned portable platform by Copperloy. 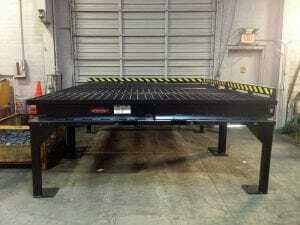 This new platform offers a high strength 50,000 pound minimum yield, with side plates made from robust A572-50 steel. 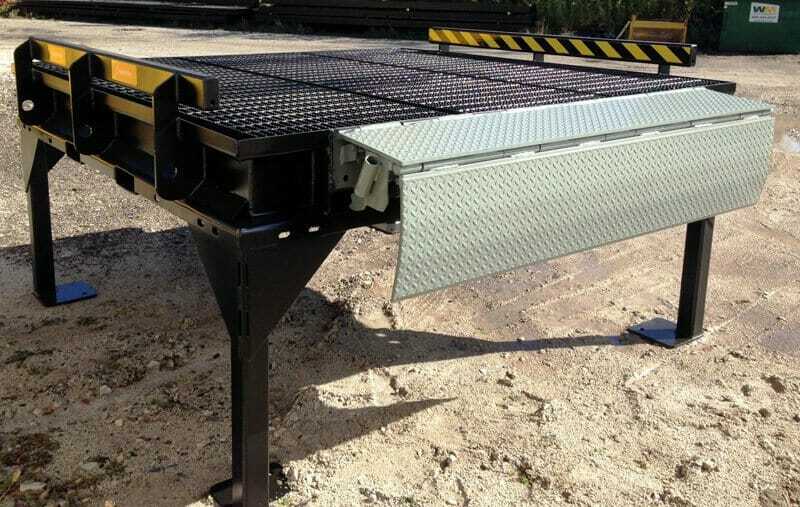 Features included maintenance-free serrated bar grating, which offer high traction in all conditions, and allow water and debris to fall through instead of dangerously collecting on the surface, as well as standard lifting capabilities with forklift slots. Welding on support legs from the factory, or bolting them on from the field, for no extra charge. Installing welded curbs in any configuration. Installing edge of dock levelers on any side of the platform to match existing installations or equipment. 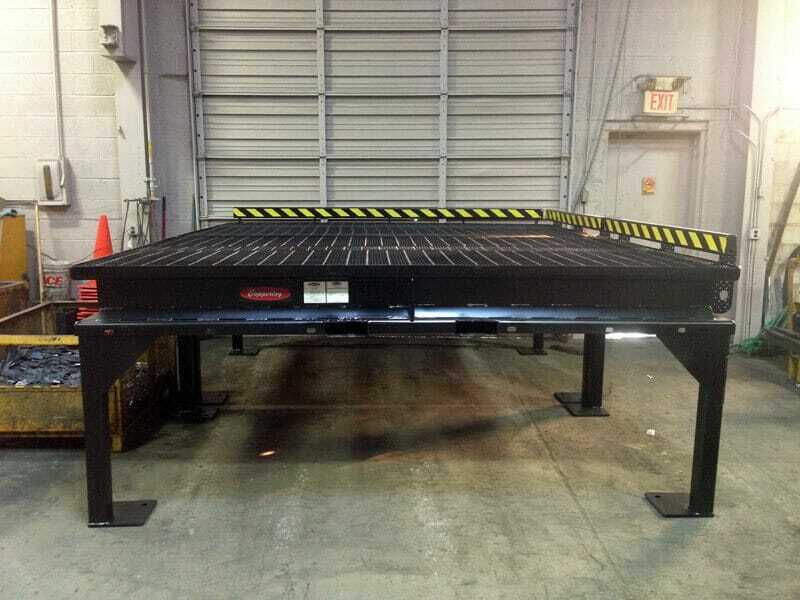 Here’s the new platform with an edge of dock leveler (EOD) attached. This makes loading or unloading directly from a truck very easy. 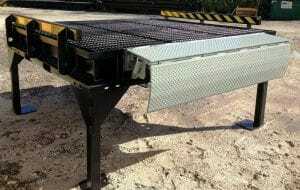 Plus, one of the best features of this new loading dock platform is that it can be bolted together with additional platforms. This allows you to instantly create platforms of different sizes and shapes, just when you need it. Not only that, but our portable platforms can be used with our edge of dock levelers and portable yard ramps for increased versatility and ease when loading or unloading. 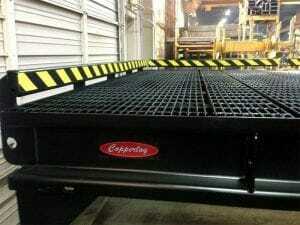 Our new platform makes for material handling and make-shift loading dock creation a breeze. We have a huge range of different specifications, including steel or aluminum models with various weight capacities, heights and lengths. You’ll be able to tackle any challenge or specific situation which comes your and you can be confident knowing that you have the equipment you need to get the job done. Equipment that’s durable and long lasting as well. 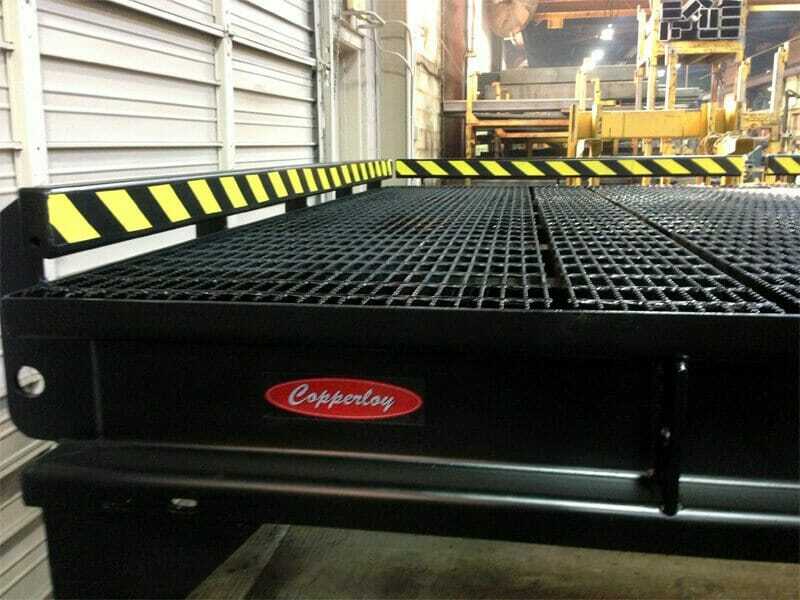 Of course, you can feel free to browse our website for more details and specifications for our portable platform and the entire array of high quality loading dock equipment from Copperloy. With more than 60 years of experience, and with all of our products proudly American made, Copperloy is the industry leader you can depend upon no matter what your unique needs or challenges may be. You can also call our team directly at 800-321-4968 to get started or to ask any questions about our platforms and material handling equipment or you can fill our this contact form. We look forward to hearing from you and helping you to improve your capabilities and solve any problem or difficulty you may be facing. A close up of the high strength steel we use and the side skirts. Our platforms are engineered and manufactured with exacting precision and build quality.